Improv can describe a lot of things. Improvisational music and improvisational theater have one thing in common, though. We don't plan what we're going to do before we go on stage. We try to reach a state of freeform collaboration and, like, read each other's grooves, man. Or something. Someone once described improv as "adults agreeing." Even more, what's improv comedy? Improv comedy developed as a way to help actors, morphed into a form of comedic performance (Read about The Committee some time, this stuff is local! ), then became a tool for writers to create sketch comedy and even plays. 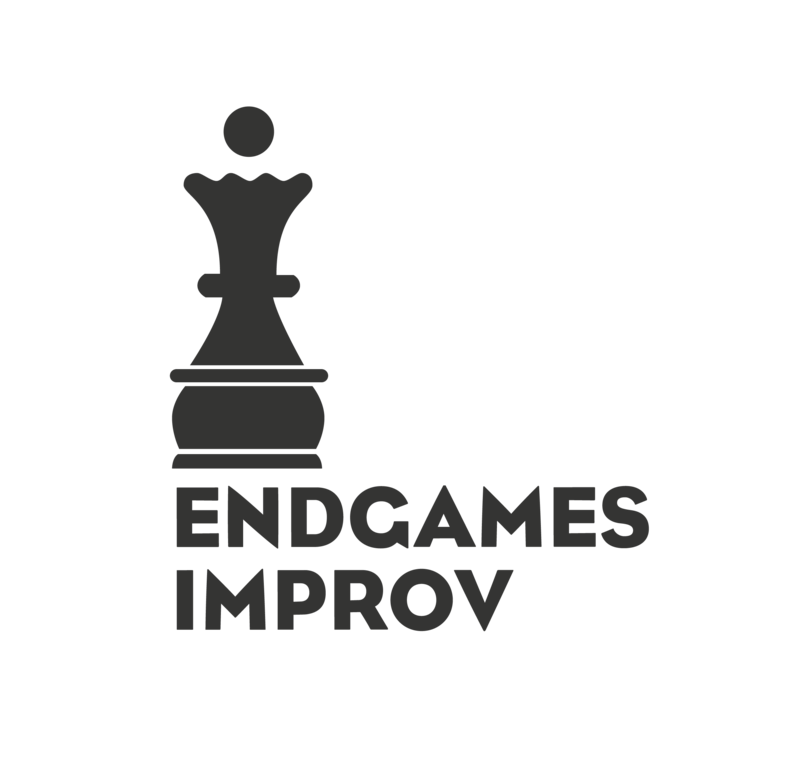 The Improv Olympic (now known as the iO) eventually popularized the form of Improv comedy we teach at Endgames. It's a lot like a sketch (think of Saturday Night Live), but with immediate feedback from the audience and no script. Mostly it's just SO FUN. Many people have also used improv in order to get better at thinking on their feet, being confident, not judging their ideas, and working with teams. Companies all across America spend money every day to provide improv training to their employees because it's so valuable.Seriously. So valuable. Do I have to be funny to do this? Nope! Improv is about exploring a moment as a character. Patience and good listening will eventually lead to comedy. Connection with an audience and honesty will get you a lot farther than being the class clown.